Many use the winter time as an excuse to not workout. The freezing temperatures, strong winds, and thick layers make it very difficult to exercise outdoors. To combat this chilly dilemma, many join a gym. However, even someone who usually follows a strict fitness regime, may find himself stopped by winter storms. Despite its intensity, the winter weather doesn’t have to stop you from working out. Here are some ways to use the weather to your advantage and stay fit. Burn calories by taking a ski trip, go snowboarding with friends over a long weekend, or try sledding in your own backyard. Pick a winter sport, grab some friends, and fully embrace the beautiful snowy weather. 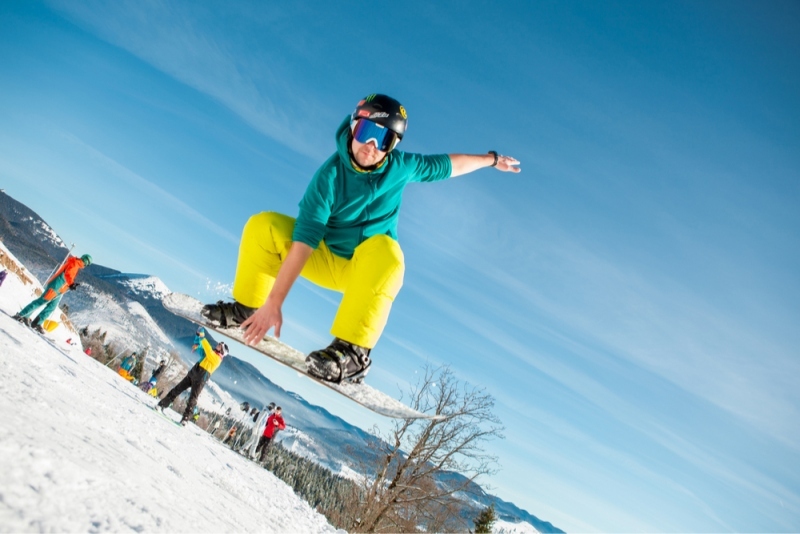 Winter sports become easier to handle with the proper winter wear. Before practicing these activities, go to your favorite winter apparel locations, like Patagonia. Use some of their discount codes to stock up on general winter wear and specific sports gear. Don’t wait to tackle shoveling your driveway until you have to dig yourself out of piles and piles of snow. Make it the norm to tend to the snow before it gets out of hand. Shovel your lawn and backyard, as well as offering to do your neighbors’ driveways. Winter chores have been known to burn some serious calories. Aim to do these outdoor tasks at least once a week. Also amplify your indoor duties. Since you’ll spend more time inside, commit to handling major household chores that you have neglected in the warmer seasons, like organizing your home and cleaning the basement. Use Youtube, DVDS, and video streaming services to find workout videos that keep your interest, and are easy to perform at home. Plan to watch and imitate at least 20 minutes of these exercises every day. Use these instructional videos the same way you would a gym instructor: listen carefully and repeat their instructions. Many fitness instructors refuse to hibernate during the winter. Instead, they increase the number of indoor classes they teach. Sign up for some of these lessons at your local YMCA, fitness studio, or nearby gym. Experiment with your fitness class options: try out workout courses that you have never tried before; this makes every new class an adventure. The best thing about yoga is that it is easy to do anywhere at anytime. Just grab a yoga mat, put on stretchy clothing, and start practicing yoga moves in your home. Engage in a snow fight with your significant other, siblings, friends, or children. Then build a snowman, or a family of them. Finally, you can get ice hockey skates here and head to the nearest park for some ice skating or a pick-up hockey game. Use the winter ice and snow to relive a bit of your childhood. These activities let you burn fat and be a kid again for a few hours. While enjoying your favorite shows, use the commercial breaks to do some exercises. Keep it simple by just performing short intervals of pushups, jogging in place, jumping jacks, lifting weights, and squats. Adding this simple change to your daily routine will have a great impact on your overall health. In general, add more strenuous activities to your daily routine, like stair climbing, lifting heavy items, and walking longer. Don’t let the winter weather throw you off your fitness track. Just find more creative ways to become more active and use the snow as inspiration.